The Dicor 21' x 8'6" EPDM Rubber Roofing System is extremely durable and puncture resistant is simple to retrofit on an existing roof, requires little maintenance and is energy star rated, with heat reflecting technology for energy savings. When it comes to RVing one of the most neglected items can be our roofs. We forget that our roofs are protecting us from all the elements, critters, trees as well as Mother Nature herself. Your RV is your home away from home, you want to make sure you have the best roof possible. You need a strong roof that is backed by a 12 year warranty from a company that is trusted in the RV industry. Dicor takes that responsibility seriously, they are the go to company for RV manufacturers for RV roofing. The Dicor EPDM Rubber Roofing System and installation component kit make it easy for RVers to replace their existing worn out roof. The kit contains everything you need to be your own RV roof installer. Rubber roof installation component kit (sold separately). This seamless Brite-Ply material in the Dicor 21' x 8'6" EPDM Rubber Roofing System is perfect for retrofit installations. The rubber membrane flexes and fits snugly around corners, ready to be molded to the roof. The EPDM Rubber Roof can also withstand those campsite nuisances, like the occasional tree branch falling because the rubber material is extremely strong and resists tears, making it highly puncture resistant. The Brite-Ply EPDM Rubber Roof is made of a synthetic rubber that ensures a watertight, easy-to-maintain roof. 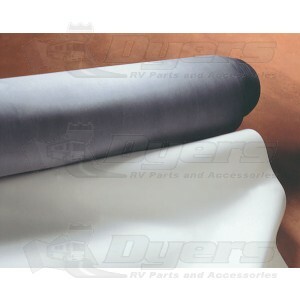 Dicor has run tests to ensure that the EPDM rubber roofing system will keep your RV comfortable and dry. The Brite-Ply EPDM passes the ASTM 20-year accelerated aging test with no discoloration. It also resists uneven weathering, fading or chalkiness. Your roof can take a real beating by the Sun. The Brite-Ply material used in the EPDM Rubber Roofing System saves energy through its heat reflecting characteristics, keeping your RV cooler in the summer and warmer in the winter. The Dicor Rubber Roofing System is both reflective and refractive to dangerous UV rays. The Dicor 21' x 8'6" EPDM Rubber Roofing System has also received the Energy Star rating for environmental efficiency. With The Dicor 21’ x 8’ 6” EPDM Rubber Roofing System maintenance is not time consuming either. Dicor recommends that you go on the roof at least four times a year to clean and inspect. You will not have to constantly be climbing on your roof for repair or maintenance like other RV owners. If you need a new roof, or want to maintain an existing roof Dyers has roofing sealant, repair kits, spot removers, tapes and seals, just about everything you need. We strive to stock the parts and supplies that every RVer requires because we are RVers too! Rubber roof installation component kit (sold separately).